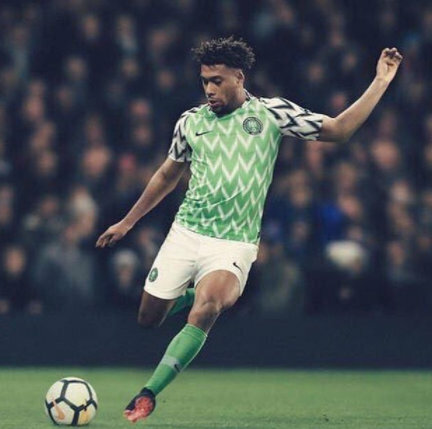 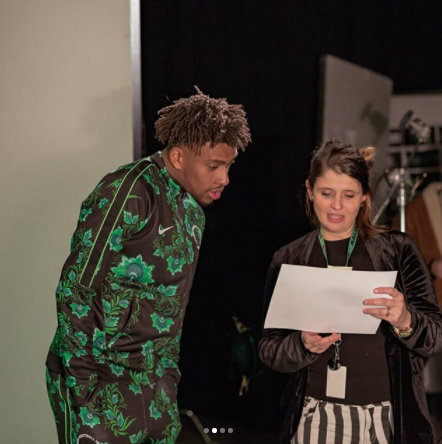 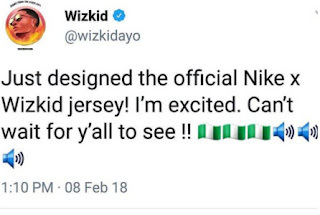 Nike recently collaborated with Nigeria's football team to create their official jersey kit. 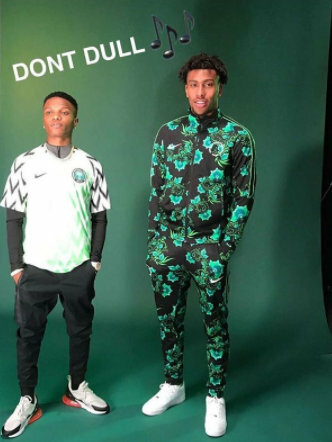 British/Nigerian footballer, Alex Iwobi and Nigerian musician, Wizkid, were on hand to unveil the jersey. 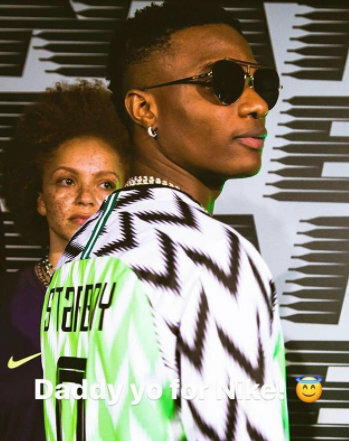 Unconfirmed gist has it that Wizkid has been made the face of Nike in Africa. 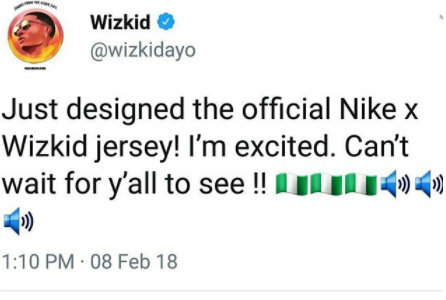 What has been confirmed though, is that, he is has collaborated with the brand on a s new line.